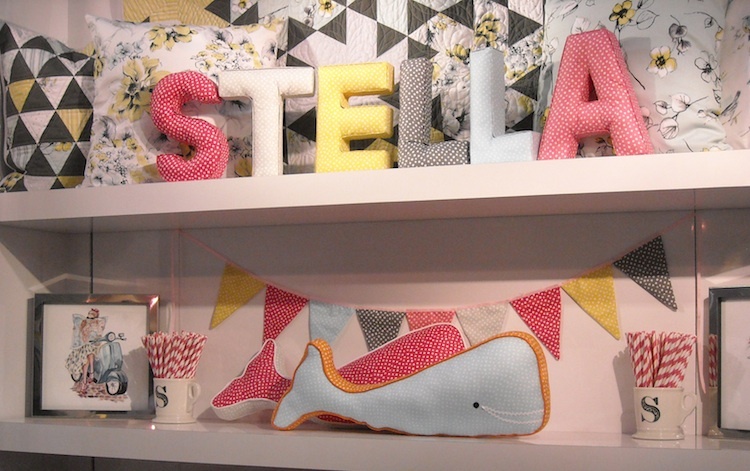 Dear Stella has had some really cute collections come out this year. Two of my favorites are Honeycrisp and Confetti Dots. I especially love Confetti Dots because I’m a sucker for polka dots of any kind, and Confetti Dots come in all sorts of colors! 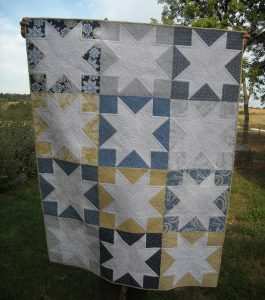 Earlier this year I made this cute little quilt for Dear Stella. 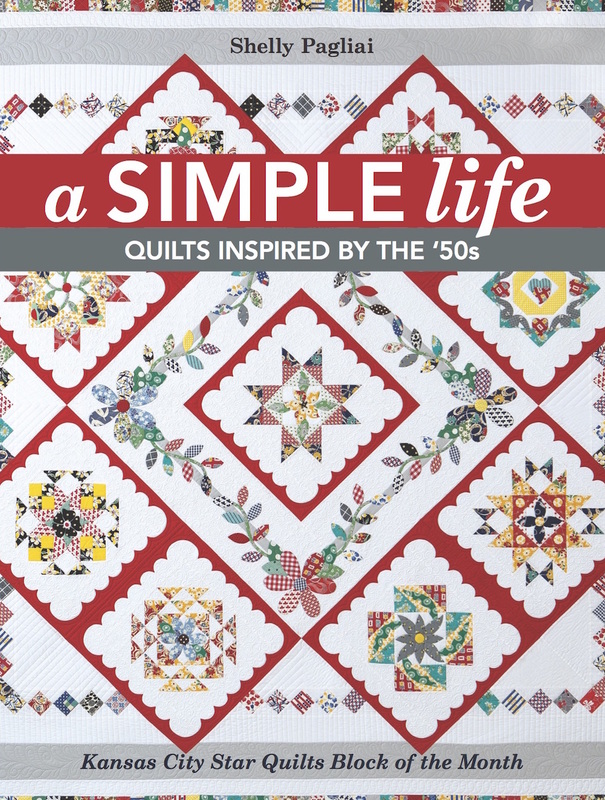 It’s called “Marbles”, and it’s from the book “Simply Fat Quarters” by “It’s Sew Emma” — a very quick and easy quilt to make up, and it showcases the Honeycrisp prints so well. If you want to make an apron like this, you can use this tutorial. 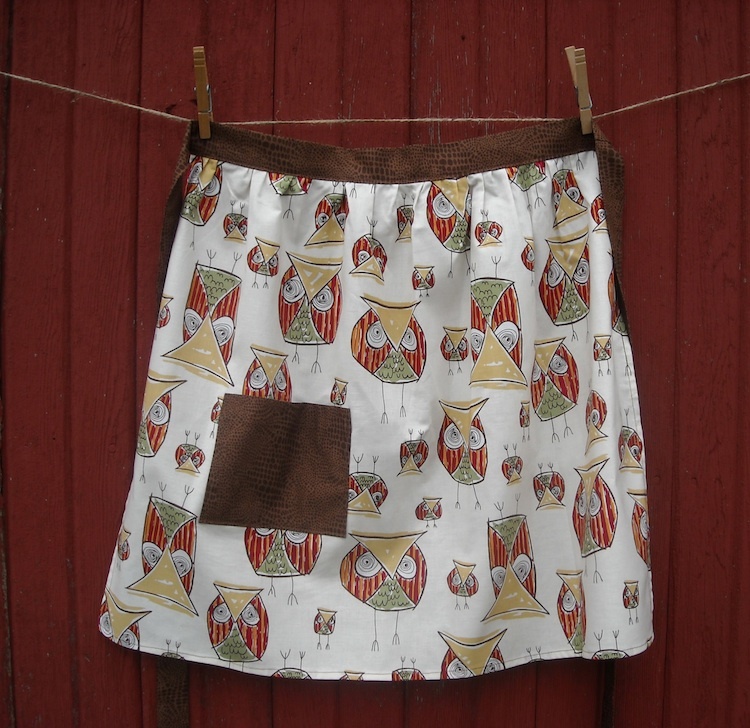 All I did differently was add a pocket, and instead of using the tea towel, I just used my piece of fabric in that same size and hemmed the edges myself. 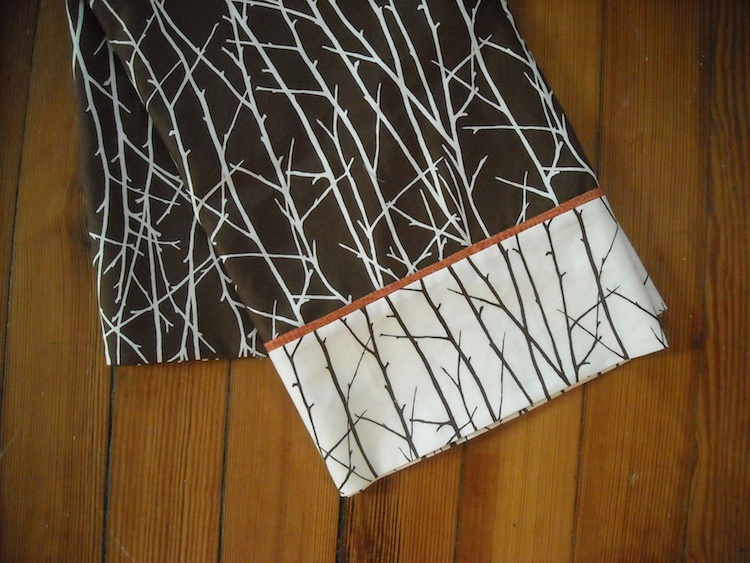 I used both colors of the Twiggy print, with the Cobblestones print in Orange for my accent piping. 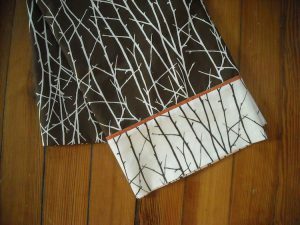 I used this tutorial HERE to make the pillowcase. Fast, fun, easy, by Vanessa, the Crafty Gemini. 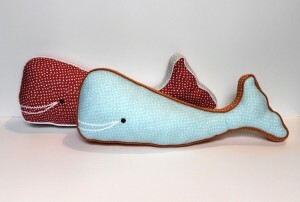 Then I got to make these adorable little whale pillows from some Confetti Dots. 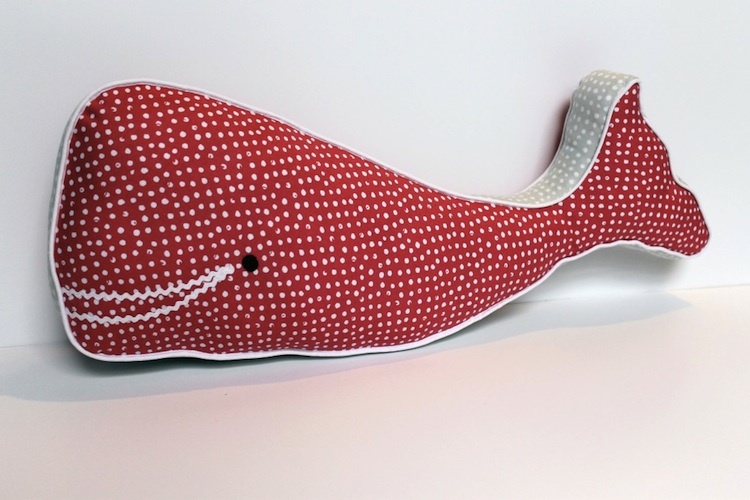 The whale pillow was designed by Margaret Cronin of Cecil & Clyde. The whales are famous! 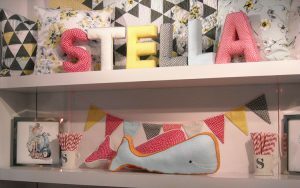 They got to be front and center in Dear Stella’s booth at Market in Portland last May. 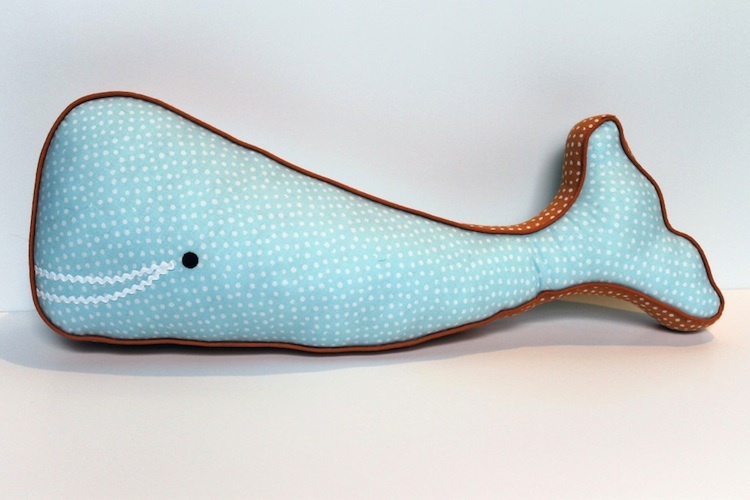 Dear Stella is featuring the whale pillow pattern on their website right now for free. If you’d like to make some whale pillows of your own, just hop over there and download the pattern. They’re not hard to make, and they’re sooooo cute, right!?! And . . . Dear Stella is featuring a “Dot of the Day” on their Facebook page every day during August, so you can see projects made with all 13 of the original colors, PLUS the unveiling of a new color every day after that until you’ve seen all of the new colors, for a total of 30 different Confetti Dot colors! Some great inspiration and some really cute projects! 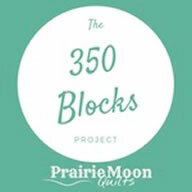 Plus, at the end of the month, they’re having a give-away, so you’ll want to check in with them to get in on that. Here’s their post explaining their “Month of Confetti Dots“, for more information. 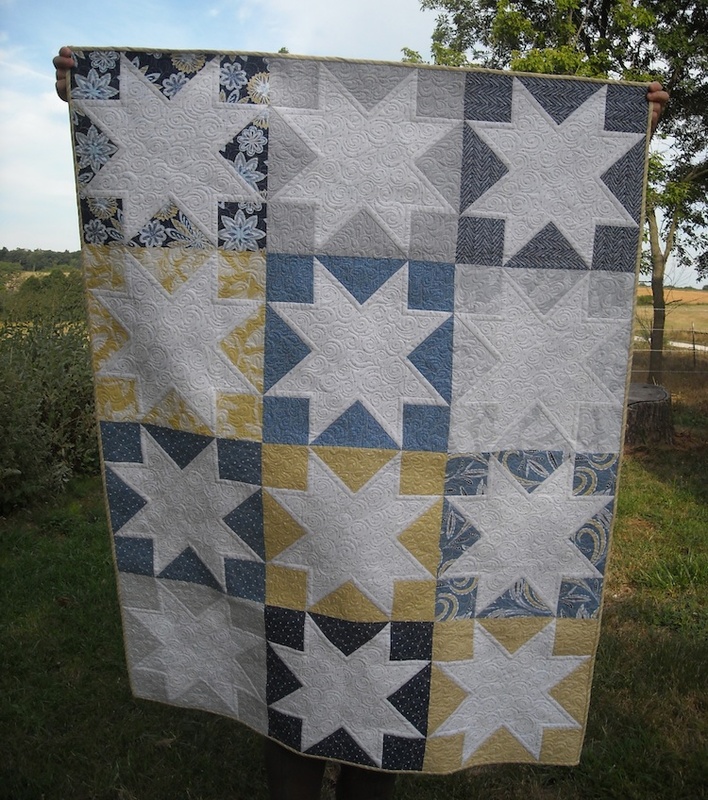 The pattern is “White Stars”, and it can be found in the book “Skip the Borders” by Julie Herman of Jaybird Quilts. So there’s just a few of the things I’ve been working on this year. 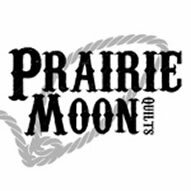 I hope you’re having a good and productive year of sewing, too! Wow, you’ve defintely been a busy girl!!!! Love those quilts. I love the whale pattern and am downloading it to offer to Makenzie. She loves fabric sculptures. And since my mother’s name was Lola, I really think I need to buy some of this collection. I’ll be trying to figure out where to shop for that. 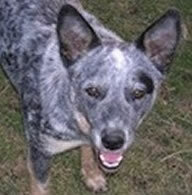 And kudoes to the Cowboy. I think the Twiggy fabrics are really fine. Lucky he gets such a place to lay his head. 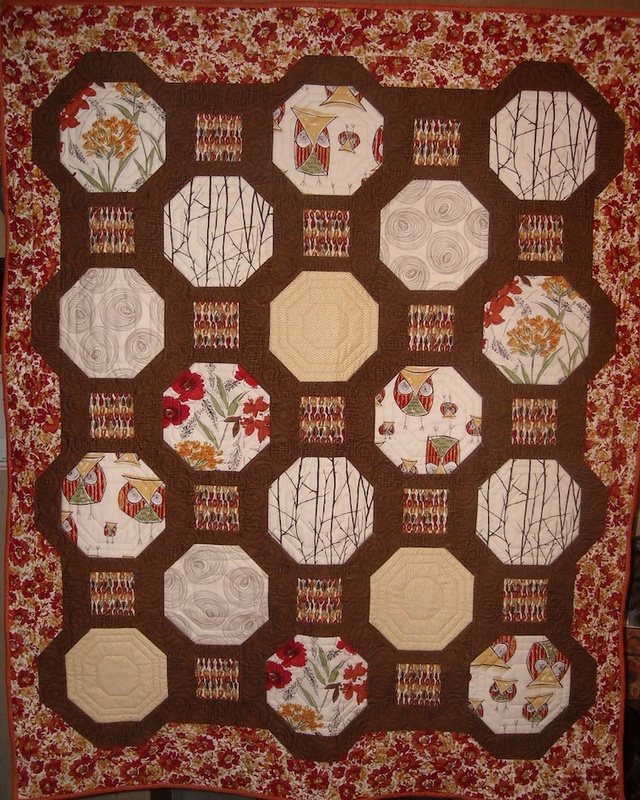 I am really, really impressed by this show of fabric and quilting talent. Keep up the good work. I’m in love with the WHALE!!!! !